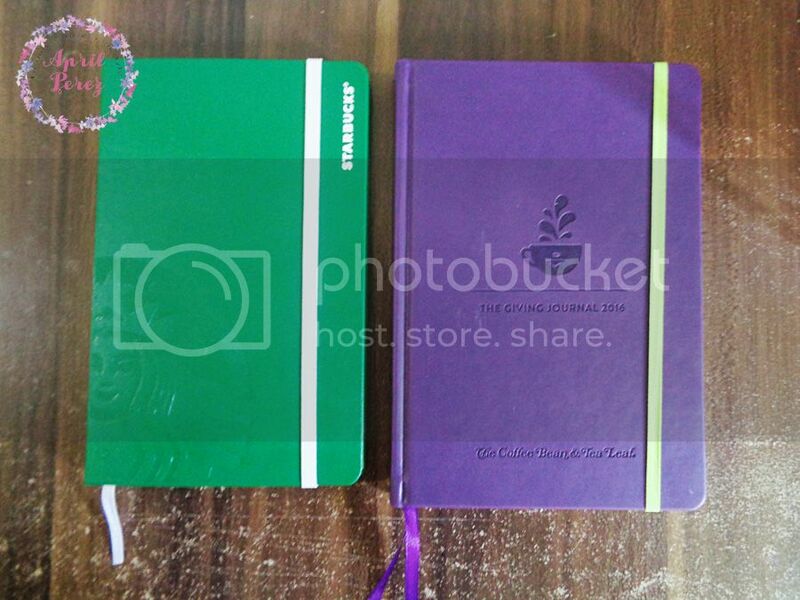 As you can see in the title, I'll be doing a side-by-side comparison of the 2016 planners from two coffee companies; Starbucks Philippines and The Coffee Bean and Tea Leaf. Please keep in mind that these are just from my own POV and that the way you see each planner may differ from my personal opinion. Both have four (4) different colors to choose from. Starbucks' leans towards the more professional and safe colors such as black, red, green and white. On the other hand, CBTL leans towards to fun colors such as violet, brown, baby blue, and moss green. Gift Certificates are NOT intact. It's just a personal preference but I tend to lose small unimportant papers so I feel like because the GCs are not in the planner itself, there's a bigger chance that I'll lose it along the way. Paper is so thin I feel like I'm writing on onion paper. This seems to be of 90GSM (or less). It's even thinner than the regular inexpensive bond paper we get to purchase in the supplies store. It takes more stickers before you get to have the planner. 18 to be exact. Pen bleeds and seeps through, hence, the paper being so thin. The red and black planners have typographical errors. Check out this post to prove it. Very generic packaging. It's just wrapped in clear lightweight plastic. If I was to give this to a friend, I'd have to spend more to wrap it up and look for a card as well. Not much personalization. It feels to me that it's a generic planner (the ones that you can get in the bookstore). Feels buttery on hand. 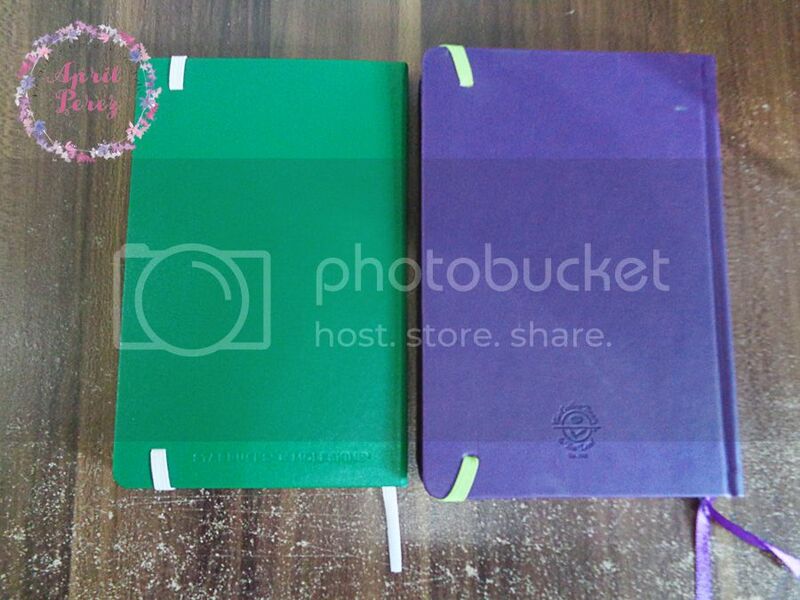 It has a good finish to it much like to the WP Color Crush planner (if you are familiar with it). Paper is thick. It's probably 100-110GSM. Has sheets for you to track down your goals, travels, etc. It's very personalized and a planner girl like me definitely wants a planner like this. Gift Certificates are intact within the planner. Less chances of you losing it. It takes only 12 stickers for you to be able to get the planner. If I'm not mistaken, only 4 are for their Holiday drinks. The rest are their regular coffees, which means, you're not forced to like or taste their Holiday drinks. I want to emphasize this part because it excites me!! IT HAS A STICKER SHEET!!! Oh, the planner girl in me smiles whenever I see the cute stickers that comes with it. I love the packaging!!! As you can see, it's enclosed in a "box" (I added quotation marks because I'm not sure if you consider this as a box, both top and bottom are open but there's a flap closure in the front). It also has a "To:" and "From:" area in case you decide to give this as a gift to someone. Heavier than the Starbucks planner. Has no 2016 yearly view. Without a doubt, CBTL's planner this year wins for me. I don't feel any guilt for having to chug down 12 coffees just to get the planner. It's worth it plus I love that you can make it your own. The weekly challenges in the bottom part of the notes section is an added bonus because it gives you reasons for you to reach your goals or just to keep you busy while waiting for your next meeting. I also love that they have extra sheets in the front part of the planner for you to write your vision, goals, and travel destinations for the year. As a goal-oriented planner girl, I prefer seeing these things written rather than keeping them to myself (in my head). Unfortunately, Starbucks' planner this year is a major flop for me. The early 2000s planners they used to have were so great (2007 and 2008 were my favorite)! Every year, I feel like they don't get to think of the overall design of each planner they release. Year after year, it tends to be more generic and makes me feel as if chugging down each cup is worthless (in my defense, my friends who didn't collect stickers helped out in completing the stickers). Overall, 4.5 stars for CBTL. If they added a pen loop then I would have given it a perfect 5. As for Starbucks, I'm giving it a 2.5 rating. 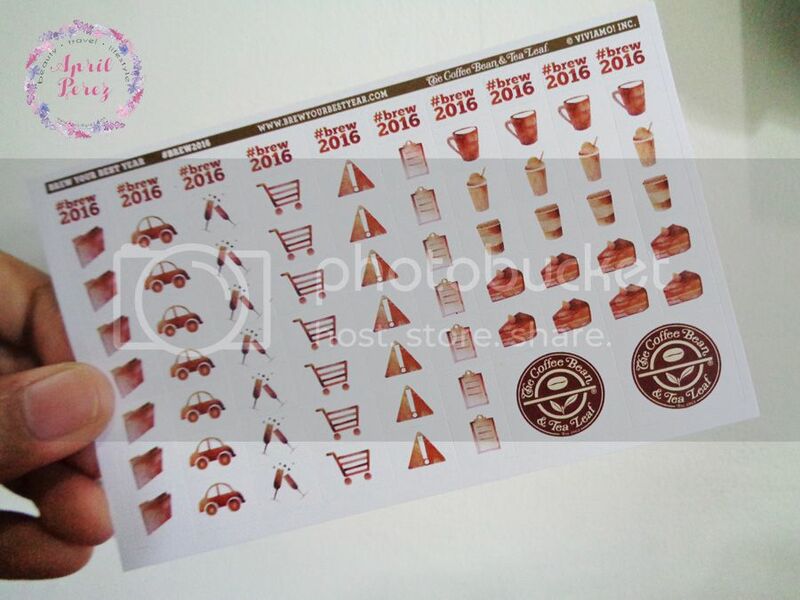 What did you think about each coffee company's 2016 planner? Did you jump in the bandwagon of collecting stickers too? DISCLAIMER: I am not, in any way, affiliated with Starbucks Coffee Philippines and The Coffee Bean and Tea Leaf. Products were purchased by me and details posted above are from my own words and is 100% unbiased. For questions on how I conduct my reviews, please refer to my disclosure policy. I wanted the CBTL too but Starbucks was the nearest sa office namin! Haha. I can’t afford to go the the Ayala Mall just to have coffee. Haha. Next year, I’m thinking of getting the BDJ planner instead. The BDJ planner looks nice too! I guess it all depends on what really fits our needs. Hallooooo!!! Hahaha I hate how the 2016 Starbucks planner looked like. I know it’s Moleskin but I just don’t get what’s up with Moleskin. They said its the same paper that Isaac Newton and even Vincent Van Gogh used but who cares about that? People wanted good looking planners so they would be motivated and excited to fill out each pages. And you were right the 2007 & 2008 planners= looks damn good! It was made out of leather back then but now everything is just so ugh! I was able to have both planners coz this guy at the airport is asking me if I’m going to MNL and asked me if I wanted his cbtl and Statbucks stickers so I said yes! Lol and luckily I just have 5 stickers to complete for Starbucks (which I haven’t completed coz this guy just gave me a free starbucks planner) and I have 3 more to complete for cbtl but both planners is naka tambak nalang and I choose Navi pa rin (the sister of belle de jour. but I guess navi is more concentrated m traveling). Haha I love this post tho and I love the reviews made about both planners.